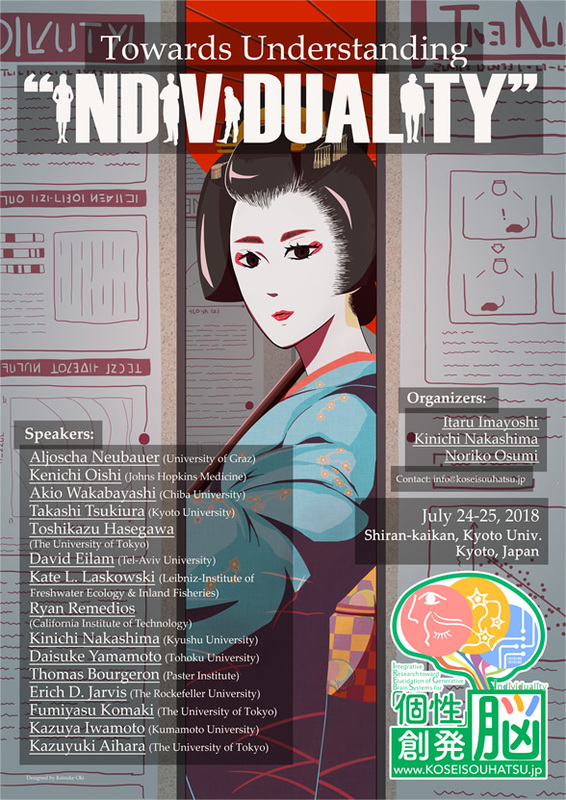 We are happy to announce our first international symposium "Towards Understanding “INDIVIDUALITY” at Kyoto Univ on 24 -25th July 2018. We would like to call for poster presentations. Please visit the following form to register poster presentation. The poster registration site is open from 24th May to 18th June. The poster session is held at 13:15 - 14:30 on 24th July. The poster size is within A0 vertical long (841mm × 1189mm). The poster session is held in English. The registration fee for the symposium and poster presentation is free. If you join the mixer party, 3000 to 4000 JPY is need. Please pay at the registration desk. Please do not hesitate to contact me if you require any assistance with the conference. © Integrative Research toward Elucidation of Generative Brain Systems for Individuality All Rights Reserved.